History: On November 7, 1966, the Board of Education accepted the administrative recommendation to name the new elementary school, the third to be located on federal property in the Capehart Housing Area, LeMay Elementary School. It was named for General Curtis E. LeMay, who served the Bellevue/Offutt Community as commander of the Strategic Air Command, an organization he built into a powerful force that fulfilled the motto – “Peace Is Our Profession.” After leaving Offutt in July 1957, LeMay went on to serve as Vice Chief of Staff and Chief of Staff of the United States Air Force and later became a nominee for Vice President of the United States. School Purpose: LeMay is a school that works in partnership with parents and the community to educate the whole child in a positive learning culture. Students use their diverse educational experiences to become life-long, collaborative learners. Staff ensures that each student reaches his or her highest level of success in order to become intellectually curious members of a global society. We adhere to high expectations, accountability, and responsibility in commitment to being an exemplary school. 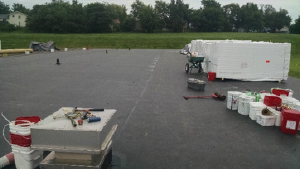 Mejia Roofing is completing the replacement of two roof areas at LeMay Elementary that were identified as a high need area for consideration for replacement. Work on the project is scheduled to be completed the last week of July. 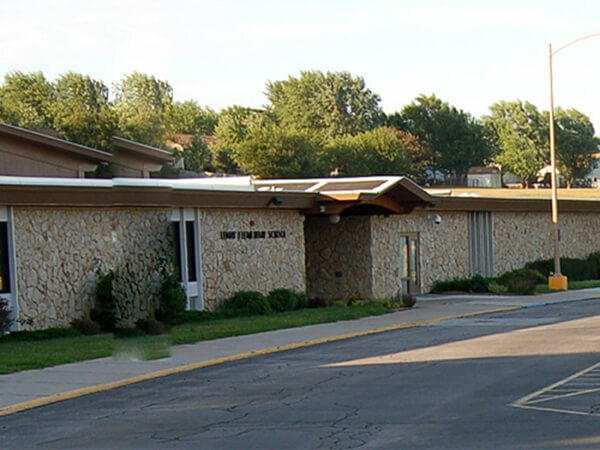 The Bellevue School Board awarded a contract to Mejia Roofing for a replacement of two areas of roofing located towards the south and east ends of the building at LeMay Elementary School. It is anticipated that work on the project will begin around July 1st and will be completed by the early part of August to coincide with the start of the 2018-2019 school year. Bids will be received in February for the planned roof replacement work for a portion of the roof areas at LeMay Elementary School. 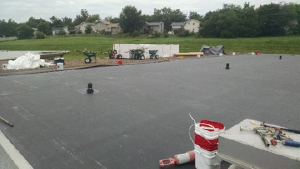 A study was completed for the Bellevue School District by an outside roof consultant and roof areas on two wings of LeMay Elementary were identified as a higher priority for consideration of replacement. The roof areas in question are located at the east end of the building. It is anticipated that work on the roof replacement will begin in late May to coincide with the end of the 2017-2018 school year. It is anticipated that the roofing work in the affected building areas will be completed by the start of school in August 2018. 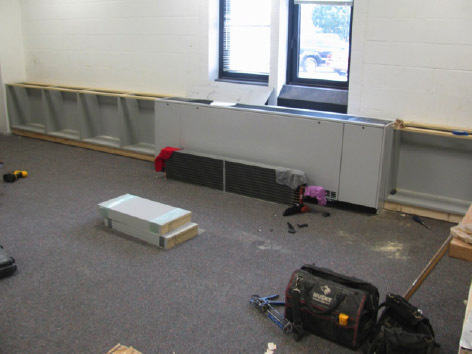 The planned work at LeMay Elementary for the life safety and HVAC renovation work is wrapping up this week with the installation of the classroom heating/cooling units in the west wing of the building. The new chiller unit installed at the building is scheduled to go on-line on August 1st with all finish work revolving around the mechanical installation being wrapped up by August 4th. The new fire sprinkler, intercom and wireless technology upgrade work is also nearly complete and will also be fully operational by the start of school on August 10th. 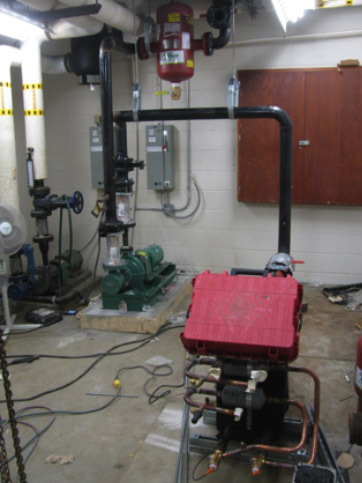 The planned work at LeMay Elementary for the life safety and HVAC renovation work is ongoing with the installation of the chiller unit and ongoing work within the mechanical room. 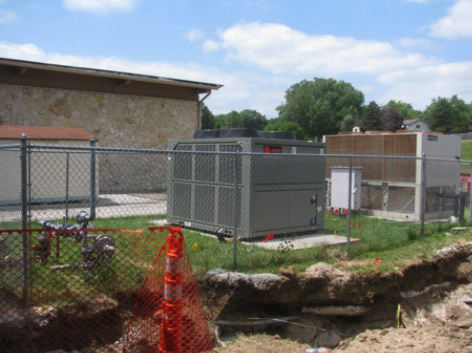 The new unit ventilators for the classroom areas are scheduled for mid-July delivery and work is on schedule for the completion of work by the start of the upcoming school year. The new fire sprinkler, intercom and wireless technology upgrade work is also nearly complete and is running parallel to the completion to the mechanical work.